Ensure your freelancing success with FVA’s Freelancing Plus! FVA started in Davao City in August 2016, with the vision to equip Filipino families one freelancer at a time. Jay and Grace Locsin, established Filipino Virtual assistant last August 2016. Grace is a teacher, mom, author and a VA-Thought leader who has been freelancing for more than 5 years and earned her first MILLION in freelancing in 2015. She had been a featured in GMA News (One Mindanao) as a successful Work at Home Mom. Jay is a husband, a dad, musician, Disc and Video Jockey, experienced BPO Manager and also a freelancer for 5 years with at least $50,000 total income. Their simplest joy is to be with their twins. Their mission is to share how freelancing changed their lives so that many like them can be the best that they can ever be. Now, FVA has been the fastest growing online jobs training and coaching with over 3000 students trained in less than 2 years! ✅ Proven results with at least 1-2 hired students daily! ✅ Hands-on Applications. Learn at your own pace. ✅ Personal touch with a committed Coach giving feedback and guiding from scratch to success! Success all Across the Globe! This is the ONLY Freelancing and Virtual Assistance Academy where we show you, the proven success rate and training method, get certified and get the chance and priority to be hired by our trusted business owners worldwide. FVA expanded to China and its territories and while in China, I’ve committed myself to guide you so you can start earning dollars from home as a freelancer. Hi, My name is Analyn, I am Teacher, VA-Thought leader and a Digital marketing enthusiast. I am entrusted by the Philippines’ leading online Freelancing Academy to help teach and spread the value their freelancing course in the advocacy to help change many Filipinos lives to the better. Freelancing helped me to afford my Parent’s dream to travel abroad last year in China. That was their first experience flying from the plane and traveling abroad. And it gave the desire to travel again while they can. Despite of their health condition (Dad has diabetes and he’s a cancer survivor patient). Their first travel made them more positive in life and they feel young and in-love again. The smile on their faces has been my happiest. This year we plan to go to Singapore. I’m finally financially confident to leave my current OFW job by June of this year. Are you just like me who wants to make enough money for your family? Are you tired of your job that’s not paying you enough? Pagod ka na ba mag-invite at bentahan ang iyong mga kaibigan, kamag-anak, kakilala? Are you tired of working abroad away from home? Are you one of those working as an undocumented OFW but you have no choice but to risk staying here because you need to earn money? Pagod ka na ba sa pagtitiis alagaan ang anak ng iba imbis na anak mo? Or kasama mo man sila, nadedepress ka dahil gusto mong kumita kaso walang magaalaga sa mga bata kaya di mo sila maiwanan. Are you tired of hearing your spouse telling you that you should work more to earn more? Do you and your spouse fight often because of lack of money? Are you a person who wants to start an online business but don’t know where to start? 1. You work less, work better and paid more. I chose this blog featured in Onlinejobs.ph, because it highlighted most of the facts the Filipino Freelancers are experiencing themselves. Joven here is living the dream life, and online jobs helped him a lot. He saves more money because he doesn’t have to spend on fare, food or clothes to work. He saves time because he doesn’t have time to commute. He is not stressed because he has a steady paycheck and a regular schedule. He is able to care and spend time with his family because he is RIGHT THERE, whenever they need them. See the full blog here. 2. The demand of freelancers are increasing worldwide. In the Philippines alone, there are already over 1.5 M freelancers. It’s already a competitive industry but, the market demand is high so even if you are new it is not too late for you. Filipino Freelancers are in demand because aside from the least expensive salary rates ( it’s still high for a Filipino standard of living) compared to the US and European countries. We are often chosen because we have good command to the English instructions and strong training background from process outsourcing industry. We are huge consumers of social media and technology like Google and Facebook that makes us expert even if we are not starting freelancing yet. Filipinos are creative, efficient, trustworthy and have awesome work ethics as well. Being a Virtual Assistant is the most popular online job in the Philippines. 3. There is a room for career growth where you get to specialize and use what you’re passionate about to earn more $$ from home. This is the Filipino Freelancer rates by freelancing job.ph (2016), summarizing the average salary ranges of each job specialization. Data is based on actual survey responses. Calculated a monthly earning by using 40-hour work schedule per week. Freelancing is TRULY the job of the future. If you are not freelancing yet, it’s not too late, you can start NOW! Are you tired of processing requirements sa Work Visa as an OFW? Magbabayad ng mga mamahaling certificates, ano hindi mo alam na mas marami palang investment at oras na gugugulin bago magkaroon ng disenteng sweldo sa trabaho at para maka pagpadala ka ng sapat sa pamilya mo. Maraming lalakbayin,at ilang taong pagtitiis. Hindi na natin maibabalik ang panahong hindi natin kapiling ang mahal sa buhay. Freelancing can give you the freedom to be with your loved ones while fulfilling your financial needs for yourself or for your family. You’ll have time to be with them especially during the time they needed you the most. Freelancing can also give you and your spouse the care and intimacy that you need because you are no longer distant with each other. Freelancing gives you the Flexibility where you can decide which hours to work, which clothes to wear, where you want to go. You can decide what holiday or parties you wish to attend. You no longer have to put up with the ridiculous Corporate decisions, because you are the boss. You assume all the roles and you live by them. You take a break when you want. No need to work in a fixed 9-5 hours. You can choose the projects to work on. There is work location independence. You don’t have to be in China or other countries to work and be there for 1 to two years contract. Then pay for transportation fare back and forth just to see your relatives back home. It will, in the long run, COST more of your TIME and MONEY. It entails lesser savings for your future. 5. Higher Earnings in the Shortest Amount of Time. You want to catch up with the millennials. Now if you think you are secured with your current job now, then you must rethink. The so-called job for life has disappeared. Due to the CURRENT ECONOMIC CLIMATE, redundancies and layoffs are common. On the other hand, freelancing is the best job security solution. There are more and more businesses online that are needing your expertise. The technology and Internet have been widely used by most people. If your business isn’t ONLINE yet, chances are you are not adapting yourself with what the society needs. You aren’t maximizing your income potential. Now, remember success isn’t an accident like in any other field, it comes with hard work, focus and drive and willingness to succeed. Like you, I also started not knowing how to start and what to do. 2 years ago, I searched for the solution. I found many successful freelancers achieving what the freedom I want in life. Some are simply high school graduates, College dropouts, work at home moms, professionals, millennials earning more than what I earn as an OFW. They can decide when to travel, what family celebrations to attend, what time to work, or how many hours, they are simply their own boss. Boy, I was envious. I am a 2 College degree earner and professional, but it doesn’t matter anymore, I realized I have to adapt to the changing economic and technological world of jobs and businesses to be able to achieve my dreams. As a determined person, I studied about how they started and how they become successful. So, I searched for Mentors, and invested more than $2000 on my learnings. They started without the knowledge of what a Virtual assistant is. They invested time and money to acquire their skills. They were very resourceful. Some started only using their old computers, borrowed or rented at the computer shop just to start their online career journey. Then, later upgraded as they gradually earn more money. Some started as high school graduates, with very little skills and job experience. It wasn’t a hindrance for clients to see them. Clients see those who can HELP them achieve their goals. They were guided with Coaches who have already done what they want to achieve. That helped them to succeed from scratch to success. They specialized their brand after learning basic freelancing skills. They focused. They were persistent to succeed by simply believing and taking action. They believed in their capabilities. There were no excuses. They have learned to be their own boss. After 2 years of freelance application while working as a teacher in China, I have achieved many things. I’ve learned how to work more for myself than my own boss. I was able to save more money while I am working as an OFW. I was able to afford to bring my mom and dad here in China. I found peace and financial security. My prayers have been answered. Surprisingly, you don’t have to spend that much time and money to get started. In my discovery, I found Filipino Virtual Assistance courses and mentors as the best, complete package and support that I needed just to get started. Surprisingly, you don’t need to spend $2000 like me, Not even $1000 or close to jumpstart your freelance career. I then joined FVA with the same mission, vision and goal. We want to help more people to be successful in this field and achieve something greater in their lives. We know exactly what it needs to be done to jump start your freelancing career and be ahead of the competition. We know what to avoid so you can prevent all the costly and time-consuming mistakes we had experienced for years. With our combined knowledge, expertise and experiences we want to help you get closer to your freelancing success goal. We want to guide you so it will not take you years to accomplish freelancing success if you do it on your own. FVA CELEBRATES WOMEN ALL MONTH OF MARCH. Enjoy life’s moments and live the life you’ve been dreaming with FVA’s Women Month promo! Enroll now in the following courses! Become a FREELANCE VIRTUAL ASSISTANT today! Our all-in-one starter course for newbies. 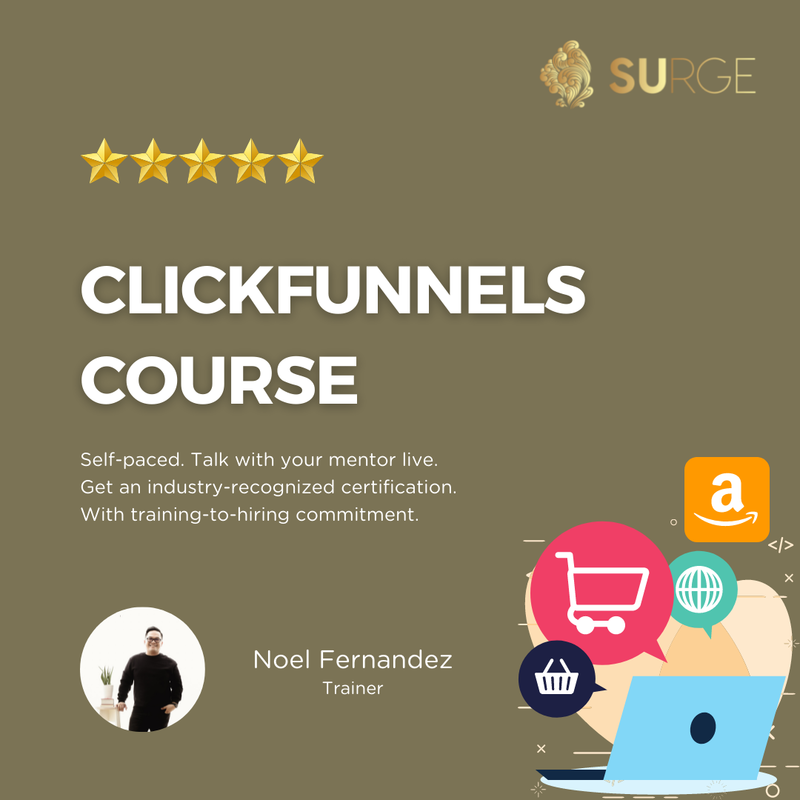 ✅ You’ll get a detailed step by step tutorials and hands-on experience so you can get your first client even if you haven’t finished the course yet. ✅ You’ll get 1 year 24/7 access to all the courses, you can work on your own phase and review for your convenience. ✅ In-depth courses for specialization. ✅ Proven best practices to get hired. ✅ Weekly live webinars so we can guide you better and closer. ✅ You can watch the training classes on any smartphone, tablet or computer. ✅ You can get the benefit of the Apprenticeship program to beat the LACK of online jobs experiences where our students AFTER the training can work from online clients here and abroad. ✅ FVA has services where clients can come and hire our very students who went to training with us. For Social Media Managers and Business Owners. 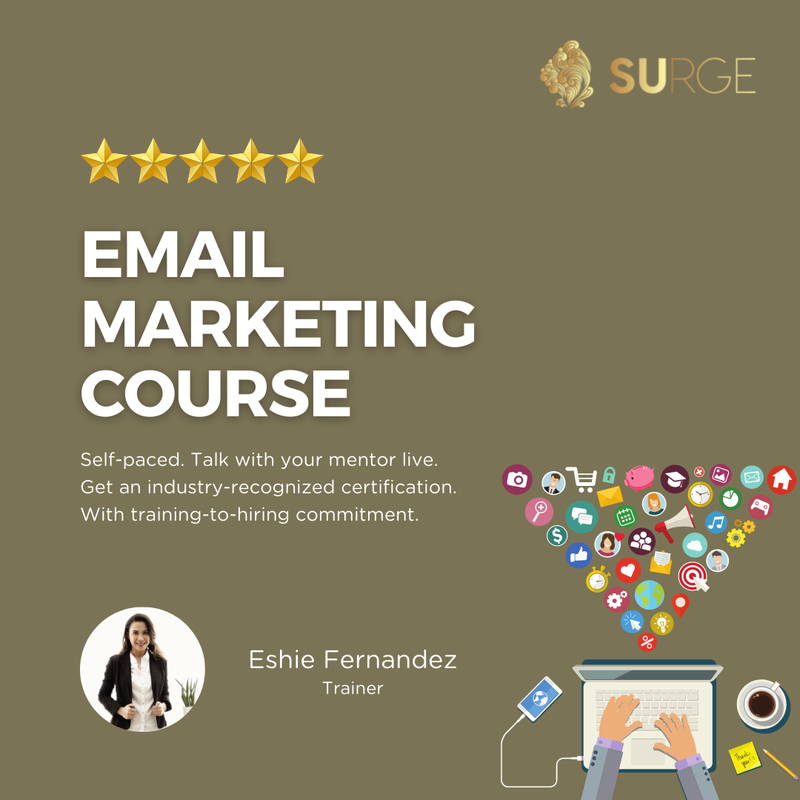 Course Inclusions: Business Branding, Facebook Marketing, Twitter Marketing, Instagram Marketing, Pinterest Marketing, Google Plus Marketing and many more. Become an SEO SPECIALIST today! For SEO Specialists and Business Owners. 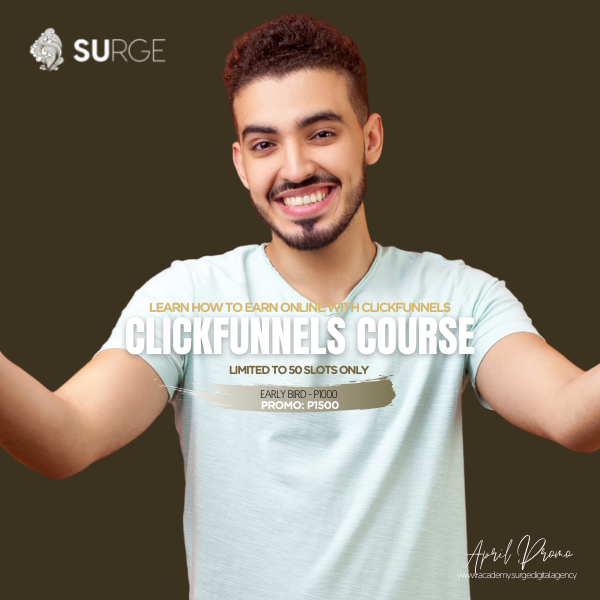 Course Inclusions: Search Engine Optimization Basics, Keyword Research, On Page Optimization, Off Page Optimization, Local Directories, Analytics, Adwords, etc. Become a REAL ESTATE INVESTING VIRTUAL ASSISTANT today! For Real Estate Investing Assistants. Microsoft Excel In-Depth Course: Techniques, Reporting, and Development – For GVAs, Project Managers. For GVAs, Social Media Managers, Digital Marketers and Creatives and Designs VAs. 2500 pesos for a freelance course to jumpstart your Freelancing career? In the Philippines, that is only equivalent to 10-13 Starbucks coffee, 20 taxis, and 10-15 restaurant meals. In China, that’s about 7 Starbucks coffee, 8 taxis and 7 restaurant meals. Can you go without it for a month so you can start earning 20,000, or 50,000 pesos from home? And YES there is more..
☑ All the techniques and mistakes I’ve learned from 2 years of freelancing while working as an OFW. ☑ Tips and techniques from all 6-8 figure earners mentors that I have. ☑ Plus the lifetime guidance and and support from the Founders, Coaches and other FVA students. All these, You’ll learn, WITHOUT me adding extra cost. I have committed myself to help more SERIOUS aspiring freelancers this year. I don’t care if you are only 1 or 5 or 20 that will enroll in my FVA group. That means to say the lesser you are, the more I can focus on you. When you get in the Academy, you’ll get total clarity of the exact steps to get started right. You can start without enrolling in our FVA course, do it by yourself and save 2000 pesos. 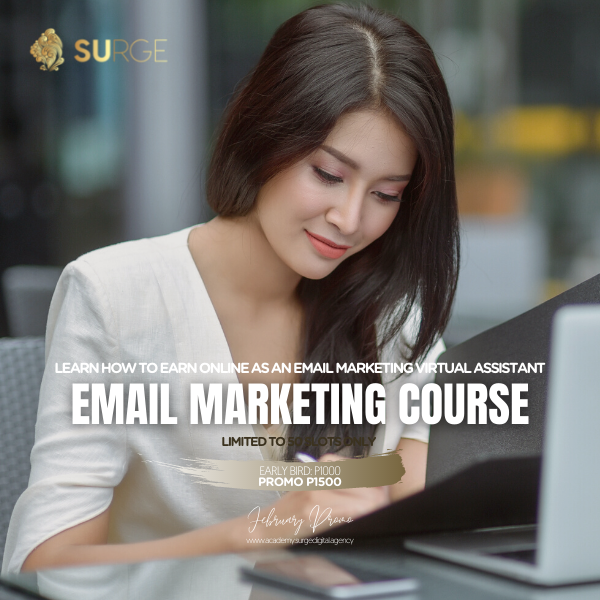 But If you are like me, who belong to the generation when freelancing, digital marketing, and Virtual Assistant is not popular, then this may be difficult to do it on your own. There are skills and techniques that are not easy to master. It may take time for you to do it. You may go through the hard way, making the same mistakes that many freelancers have done. It will take years for you to master all the steps and in the end cost you more. You’ll enroll now with the FVA course and you don’t have to go through the hassle of learning all by yourself and waste your precious time. You’ll have the advantage of learning the skills, tips and tricks so you can stand out among thousands of freelancers worldwide. You’ll learn from me and our founders from our combined knowledge and techniques for years of freelance experience. Learning with FVA is the best START towards your online freelancing career success. Our all-in-one starter course for newbies. Course Inclusions: Virtual Assistance Setup, Social Media, SEO, Content Marketing, Simple Web Design, and many more! ✅4 Weekly live webinars so we can guide you better and closer. ✅Lifetime email and communication support from Coaches, and a family that will never leave you from scratch to success. ✅You can get the benefit of the Apprenticeship program to beat the LACK of online jobs experiences where our students AFTER the training can work from online clients here and abroad. Hired not just one but with two clients during the coaching! Hired from IT specialist in a corporate setting to online freelancer! Just received her first paycheck! Maria just earned her first dollars in Upwork! Hired few weeks after the coaching for a dropshipping task! Hired as Payroll Manager for an Outsourcing Company! How about almost P20,000 a month for only 2-3 hours of work a day?!!! Easy right? Freelancing is TRULY a blessing. Start your #freelancing journey now and earn from the comforts of your own home. PM us to get started! How about a $20/per contract?!!! Not for a CEO in the Philippines, nor a marketing expert in an famous brand but a NEW MOMMY… earning from home with her loving husband and sweet baby. All because of #freelancing. Start your freelancing journey with FVA today! We are committed to make it happen for you! Ville used to a #teacher teaching different levels for years. She wanted to move homebased and training with FVA, she now earns from home as a #socialmediamanager! Hard work and determination pays! After many months of toil, there is reward. So happy for this! Our students go through ups and downs in their freelancing journey but we don’t leave them until they succeed! So we also rejoice with them when they get hired. Brent here is hired in just 1 month!!! – Earning BIG in just 1 month of training with FVA! We are so blessed to have hard-working students are reciprocate our commitment and support. I can just feel and imagine the joy! Jamaica is now able to earn right from the comfort of home. Enjoy in our courses today as well and allow us to help you earn while being with the people you love. Hired as Social Media Manager within the coaching month! This is the story of Villie Jane Santos-Addun. What made her become successful? She gave her best in all her outputs. She is proof that work quality ushers immediate success! Congrats Villie. Seasoned #bookkeeper and #accounting manager now shifting to #freelancing, hired! This may be just a 5-day contract but already a good start for this amazing freelancer! Congrats Jacqueline! #Newbie problems? Be hired with a Coach guiding you! Lorive here is now enjoying her freelancing life after being hired with the freelancing course! Fluer is a mommy and wifey… who now enjoys EARNING FROM HOME! She assists a German client after being hired after the training! She can now enjoy moments with #family without worrying the monthly bills! 😉 Enroll with FVA now. Got an update from Cherry that she is currently busy with lots of LABAHIN (laundry)… And one more new LABAHIN came up! Her LABAHIN? Clients! Online jobs for more income!!! Congrats Cherry. We pray that you will have more LABAHIN! ?????? Need a breakthrough to get “LABAHINS”? Allow FVA to train you! Allow FVA to make it happen for YOU too! Hired as a FULL TIME #SocialMediaManager after finishing the #FreelancingCourse! Full time means complete 40 hours a week. And with freelancing, the more hours, the more $$$! Congrats! Eliza Flor was hired after the coaching but not within Upwork yet. It was after few months that she got a breakthrough! LOVE the story of determination and working yourself towards your goals here. Are you also willing to work hard for your dreams? Allow us to train you! Belsa is recently HIRED! Client gave her a 5/5 for the trial work she did and also mentioned that he is impressed by the results of the training Belsa did with Filipino Virtual Assistance! Thank you Client for the compliment and congrats Belsa!!! Nina Katrina started with our freelancing course early July… And only within 3 weeks, now working as a part time Social Media Manager in Online Jobs! Congrats Nina!!! Rosalyn is a mother of 5… Enrolled with FVA so she can earn from home not compromising #motherhood and #family… Just 3 weeks info the coaching, she is HIRED as a Data Entry Specialist! Congrats Rose. Enjoy freelancing. We are very happy for you. Ever get tired of trying but it seems like nothing is happening? Even sometimes to a point of CRYING? This is what Adelaida went through. Thus I am a relieved and happy to hear that she has been hired! What a sweet blessing! She advised to “always think that God has always a purpose and if it is for you, God will surely give it to you.” Congrats Adelaida! Cheers to a bountiful life! Marj is hired as a VA and was also given the telemarketing tasks. It’s not part of her training and she’s up for it! Why? Because she said, she has an FVA blood!!! Love how our students are getting the guts and grit to make things happen. Maybe they got it from their Coach? 😉 😉 🙂 Proud of you Marj! Ever come to a place of being discouragement in your freelancing journey? This is what Marywill experienced. But after FVA course and support, there’s a light at the end of the tunnel! Congrats Marywill! With freelancing, one can work (and earn $$$) for international businesses without having to leave the country! FVA Grad, Christina works for clients based in the UK and NZ and both are long term clients! Kathrina resigned from her work as Curriculum Advisor and focused on our Real Estate Investing course. And JUST A WEEK info the coaching… was hired right away! REI Tasks are very in demand… Allow us to train you how to be a REI VA today! Eunice is a grad of our freelancing course last December and now has SEVEN CLIENTS!!! Plus one project-based client too! I can just imagine the change in her monthly income and how this blesses her and the people she loves! Start your freelancing journey today too! It happened again! A student HIRED even before the coaching session officially started! Congrats Edwin, you are the MAN!